Product Type - Insect Screen for doors and windows. We also deal with Insect Screens for Windows and Doors. Our mesh is extremely durable & we use only high quality hooks & loops. Our quality of work is unmatched. Insect screens are custom made for your windows and doors and are available in various colors. We do all types of work like Velcro type Insect Screen, Fibre Glass Door Type, Shutter Type etc. 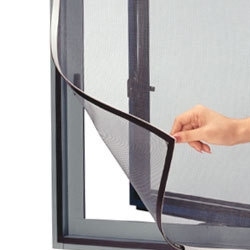 Starting Price of Velcro Type Insect screen is Rs 30/ Sq Ft and Maximum Rs 35/ Sq Ft.